Carlsbad Caverns New Mexico replace 3000ft of water line, then compact, and cover. create 3000ft of right of way, break 800ft of rock for unobstructed passage for other machinery. Clear Channel Radio. Objective Drill multiple 24″x 20′ deep holes for a retaining wall to secure a house above. Jema Construction Inc. pasadena custom home, multiple 24″ caissons 18ft deep. 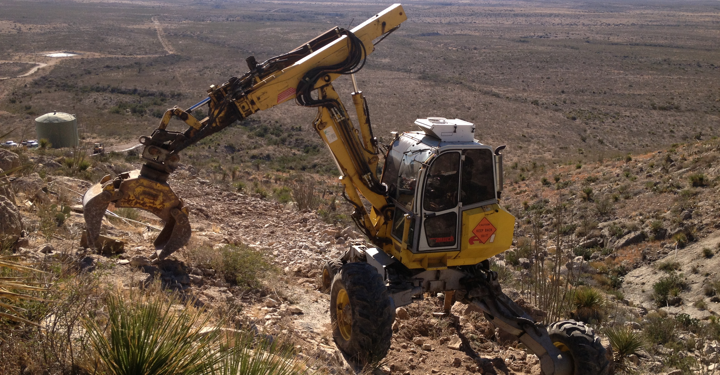 Hillside Equipment Rental is the best of the best for slope work in Southern California.